We’ve covered the 3d printing of candy, houses, jewelry, cars and plenty of other items. You can add pasta to that list thanks to the folks over at Barilla, the Italian pasta brand founded in 1877. 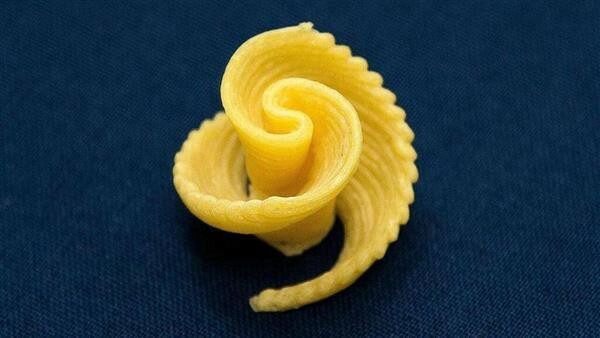 Earlier this year we reported on Barilla’s attempts to create their very own 3d printer capable of creating customized pasta shapes on-demand. The Italian company has taken that concept one step further now, asking its customers around the world for their best designs of 3d printed pasta, and plans to pay the winners of this contest over $1,000 each. Interested designers can upload their CAD files (3d design files that are used as 3d printable files) to the contest site and a winner will be chosen in May of 2017. This story is another example of the changes that 3d printing is set to bring to the culinary industry as food companies and restaurants around the world look at new ways of serving food with the advent of easy to use hardware. Barilla Wants to 3D Print Pasta in Potential Shakeup to Food Industry was originally published in 3dprintingtech on Medium, where people are continuing the conversation by highlighting and responding to this story.